Some people find cooking very relaxing. Whether preparing an elaborate holiday meal or rustling up a simple dinner they enjoy cooking. 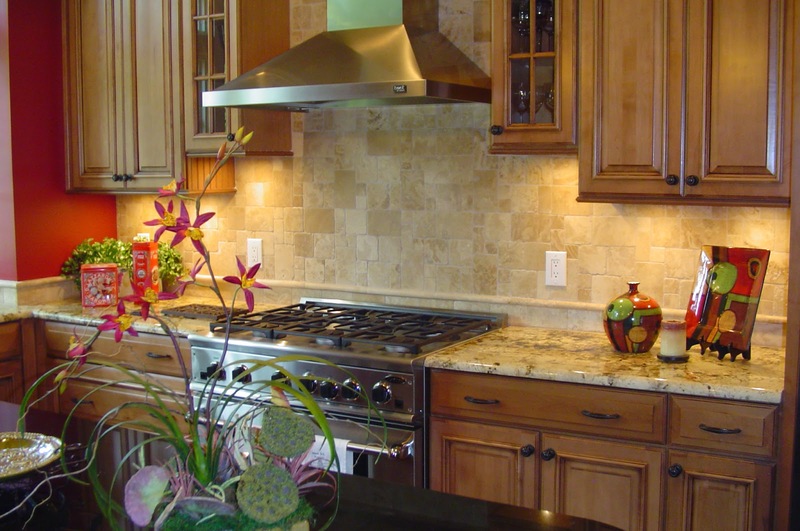 Many not only take care to make their kitchen functional but also want it to be aesthetically pleasing. So they use interesting items to decorate the kitchen and even put flower arrangements to add a touch of freshness. Using real flowers is not always possible so small silk flower arrangements come handy. You may love red roses but unless they match the color and theme of the kitchen, you may not want to use them in your kitchen decor. So using the right flowers is important to create the desired effect. If your kitchen is painted in soft and neutral colors, you can experiment a lot with silk flowers. Red tulips, purple hydrangeas or even lilies with foliage can be used in flower arrangements. If you have a big dining table, go for a tall vase and create a vertical illusion. For a smaller table, having a spread arrangement would be better. Square urns, metal containers or even small baskets can be used to hold the flowers. In fact, choosing the right container is critical and can make your task half done. If you are using a tall vase, you don’t have to put only flowers in it. Fake fruits would make a unique floral centerpiece. During the summer, you can use lemons with lilies. For the winter, keep aside the red berries or red cabbages. A square and flat container can hold silk flowers and vegetables from your kitchen garden for an exclusive look. Your guests will surely praise your taste and creativity. Don’t use only flowers but pair them with green foliage for creating contrast. Ivy or other fake plants can also be used in the arrangements. Even twigs and dried branches can be added for a garden like feeling. If you love a green and natural look, go for more plants in the kitchen rather than flowers. Apart from the table, the cabinets can also be used to place small flower arrangements. A single flower in a small and old coffee mug would create a nice effect in the right kitchen. Old utensils can be repainted and used to hold the flowers. This way you can recycle the items and also use the space available effectively. Using small silk flower arrangements can make the kitchen look relaxing and make your cooking more fun. Keep on recycling the flowers and using them according to the season to give your kitchen an affordable and easy makeover as desired.